As a friend and I traveled through Trelawny one day, we arrived in Clark’s Town to be greeted by this Gothic chapel. What a vision to behold St. Michael’s! 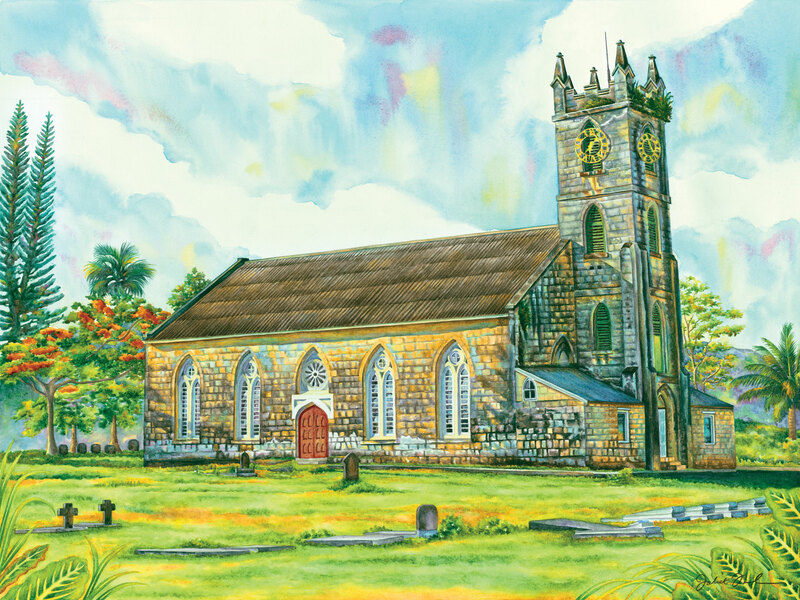 With the lush nature in the background and the streaming light on the building this church was another one that had to be added to my painting series of churches. It was beautiful and I was able to capture it this way. This is a limited edition of 50 giclée prints on watercolor paper. The original painting has not been sold.